I found the espionage pieces particularly interesting. 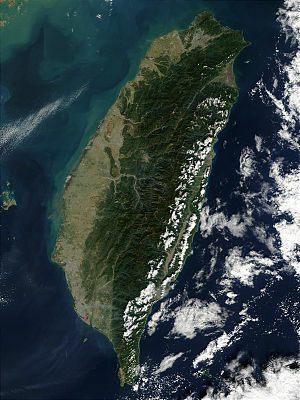 One focused on the continuing “spy war” between China and Taiwan, which continues despite warming relations across the Taiwan Strait. How’s the old saying go? – “There are friendly nations, but there are no friendly intelligence services.” Too true, and I think that anyone who supposed that since China and Taiwan were making nice across the strait since Ma Ying-jeou’s election in 2008 that it naturally followed that espionage activity between the two would also fall is a bit naive. The Ma administration’s reported 2009 decision to discontinue the recruitment of spies in China, mentioned in the article, is incredibly short-sighted and certainly has not been reciprocated by the PRC. (In fact, I would be that with improving ties, China’s intelligence services are taking full advantage of the increased ease with which they can get into Taiwan, be it via tourist groups or student exchanges.) Just because there is a temporary rapprochement now, nothing says that China won’t break out the old “belligerence stick” and wave it this way again when they become impatient with the pace of their pursued unification, and when they do, one of the best ways to know how serious they really are about escalation could be from spies inside China that Taiwan unilaterally decided to stop recruiting – bad idea. The other espionage piece in the report this week is about PRC efforts to infiltrate U.S. security services. The story discussed is one that I had heard of via other media sources, but the context in which it is discussed here – trying to determine if this type of infiltration attempt is part of a larger shift in Chinese intelligence strategy away from previous long-term efforts to use Chinese nationals towards one where they co-opt and then exploit non-Chinese American citizens who are not at the time of their recruitment in sensitive positions – is quite interesting and unique. I think the overall conclusion is that there simply isn’t enough information to know just yet if this is indeed a major shift, but it’s certainly something to keep an eye on.